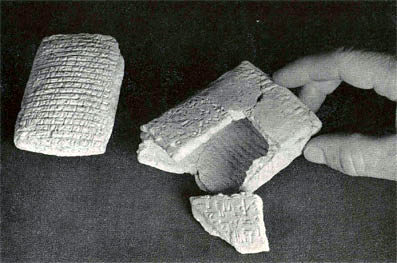 Mesopotamia sometimes inscribed legal matters on so-called case tablets. The inside tablet carried the text. The outer envelope, protecting and identifying the enclosure, usually was limited to an excerpt.